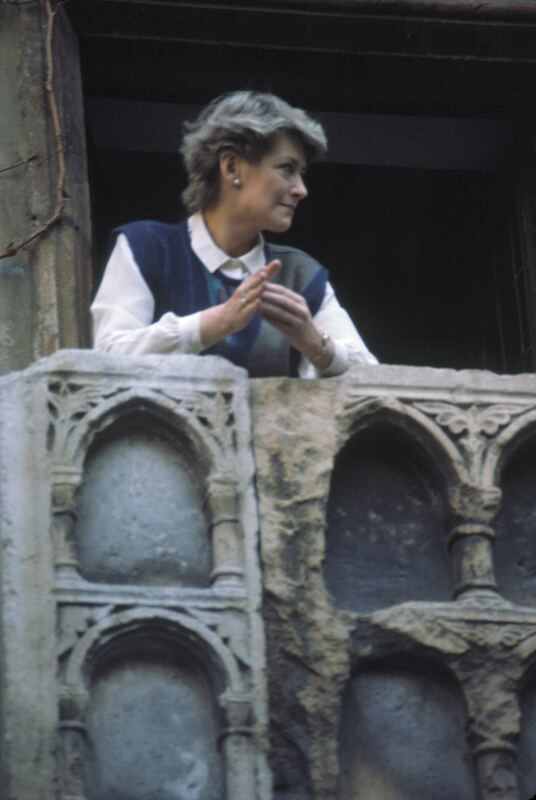 The photos show a ‘Pebble Mill at One’ location trip to Verona, in Italy, in 1985. Presenters Marian Foster and Bob Langley are featured, along with director, Tony Rayner, producer, Clare Stride, and production assistant, Jane Mclean. Also pictured are Vision Supervisor, Ian Dewar, Engineering Manager, Gordon White, Cameraman, Dave Ballantyne, and Electrician, Phil Vaughan. Ian Collins was on VT, Roger Ecclestone was producer, although he isn’t pictured in the photos. The trip included shoots in Milan, Lake Garda, Lake Como, and Verona. Thanks to Roger Slater, Jane Mclean, Dave Bushell and Stuart Gandy for adding additional information.